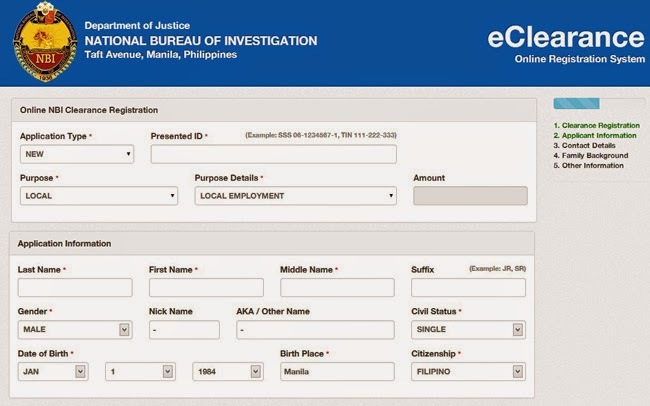 National Bureau of Investigation (NBI) no longer entertains walk-ins as they will fully utilize the online application system for the NBI clearance. Nick Suarez, NBI spokesman, stated that the use of the new procedure is to help most Filipinos get clearances faster and in a more convenient way. Suarez also added that most Filipinos are now using the internet, which is reason enough gor the agency to utilize the same when transacting with the NBI. Appointment system and registration will all be done only through the online service nationwide. Applicants can go to the NBI application website and start their registration. NBI clearance registration used to be known as long lines and takes up most of the days, now NBI uses the new online system to eliminate the queues and make the process easier. After the online registration, applicants can proceed to any NBI sites anywhere in the country to directly pay and have their biometrics enrolled to finally claim their clearance. Suarez reminded the applicants that they must only go to their chosen NBI site on the scheduled date that they had identified upon their registration online. Justice Secretary Leila de Lima shared that the new online clearance system can be a more reliable platform for efficient processing of information. Accurate issuance of the clearance is expected to be faster with improve query database and search engine. 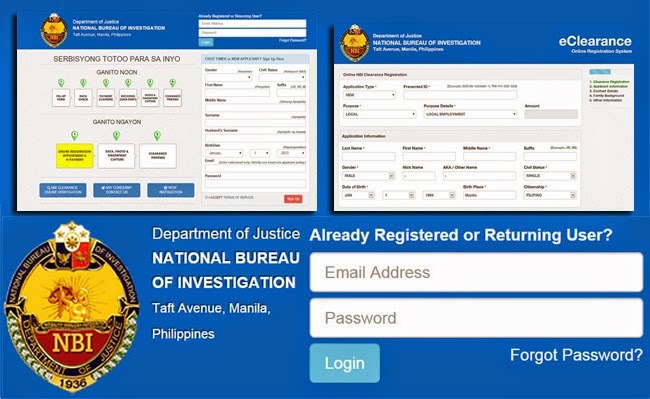 The new online registration system is part of the NBI flagship project called National Justice Information System Project. It is their very own system that was developed internally.